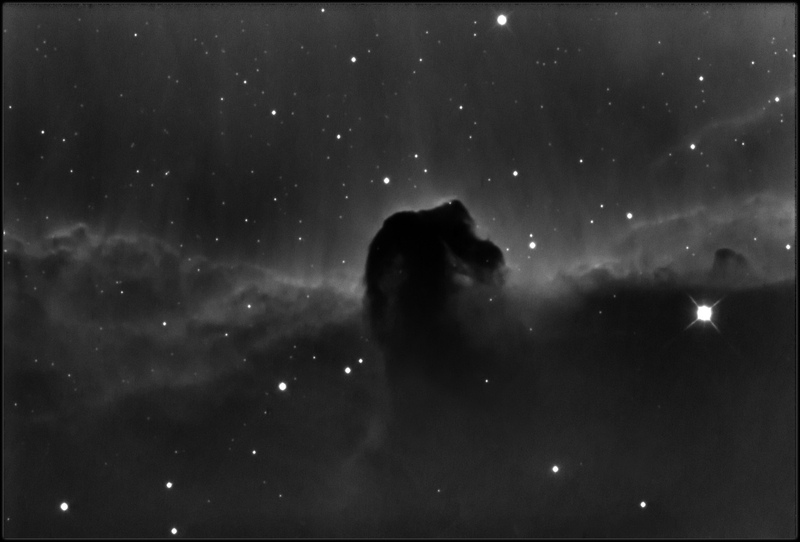 The "Horsehead Nebula" is approximately 1600 light years from Earth. It is part of the vast Orion nebula structure. Stellar gases are ionized by the nearby stars causing them to illuminate. Image acquired using SBIG St-10XME camera with Astronomics Hydrogen-Alpha filter through 10" Astrotech AT10-RC telescope.